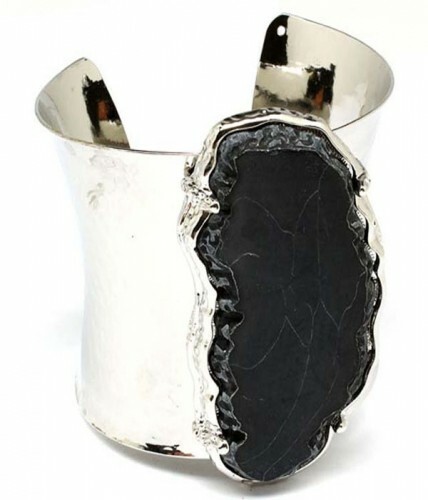 A natural black stone looks to the moon from the bright silver-plated base of the glorious Lara cuff bracelet. Statement and trendsetting with a Delphic quality. Add this beautiful piece of costume jewellery to your collection today.